Back-to-back funerals. Mourners 50 deep. Pittsburgh grieves, 11 times over. 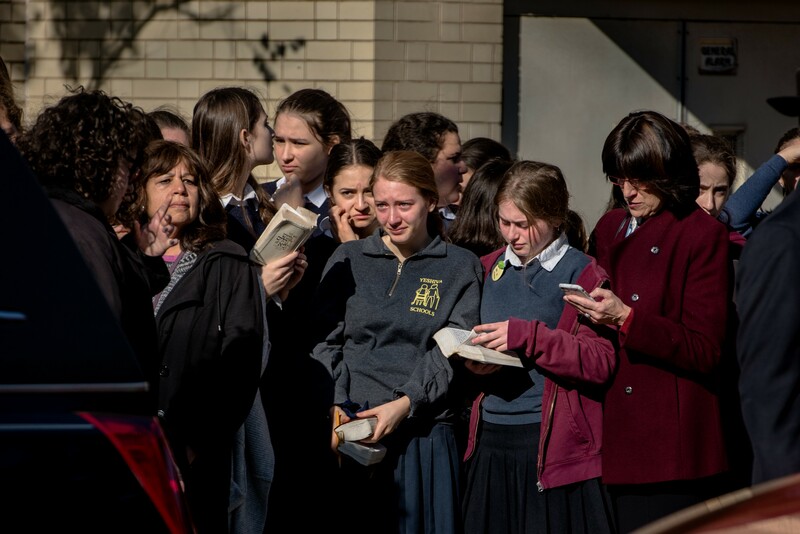 PITTSBURGH — The public rituals of grief in Pittsburgh kept accumulating on Wednesday with more funerals, more burials and more communal gatherings for the 11 killed in the attack on the Tree of Life synagogue. 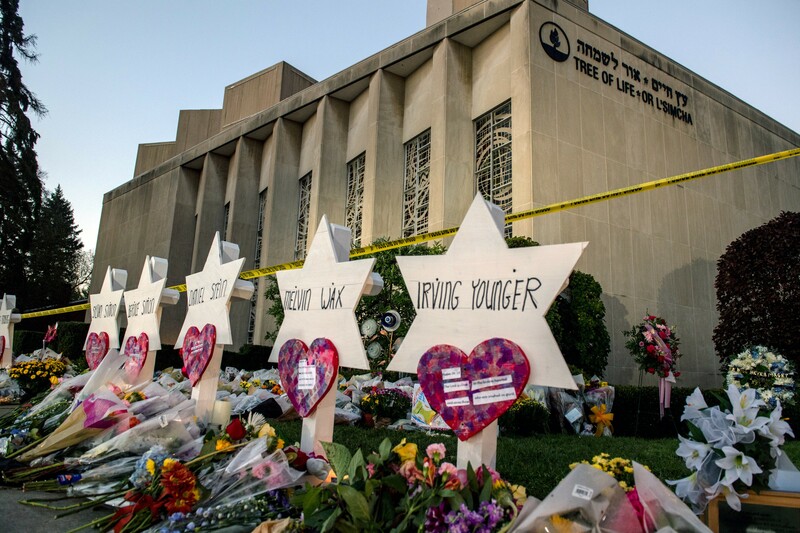 A makeshift memorial on Tuesday morning, Oct. 30, 2018, outside the Pittsburgh synagogue named Tree of Life, where 11 congregants were shot to death on Saturday morning. President Donald Trump is to visit Pittsburgh on Tuesday. At Beth Shalom Synagogue, people gathered early Wednesday to mourn Joyce Fienberg, 75, a well-loved researcher at the University of Pittsburgh. A little over an hour later, visitation had begun for Irving Younger, 69, at Rodef Shalom Temple, the second service there in two days. Most of the mourners tried to keep the focus on the people being remembered, but sometimes the horrific circumstances behind it all crept into mind. 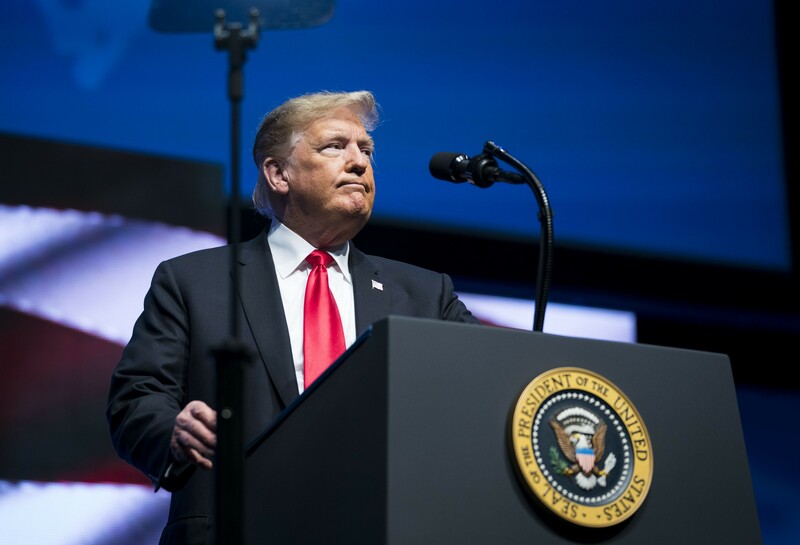 President Donald Trump speaks about the mass shooting at a synagogue in Pittsburgh, at the 91st Annual Future Farmers of America Convention in Indianapolis, Oct. 27, 2018. Sanders said President Donald Trump would make a trip to Pittsburgh on Tuesday along with his wife, Melania Trump, to express the support of the American people and to grieve with the Pittsburgh community. At the same time, friends and family gathered in a funeral home chapel not a mile away, for the service for Melvin Wax, 87, who was killed on Saturday as he came out of a dark storage room into the chapel where the New Light congregation met on the Sabbath.